Five of the top six sides in the Premier League won over the weekend, but who looks "transformed", who "stumbled to victory" and who looks to be in "free fall"? Relegation-threatened Cardiff and Burnley also claimed victories but Chelsea, Huddersfield, Brighton and Fulham lost. Eleven unbeaten and well in the race for a top-four spot, Ole Gunnar Solskjaer has transformed the mood around Manchester United, and in Paul Pogba in particular. 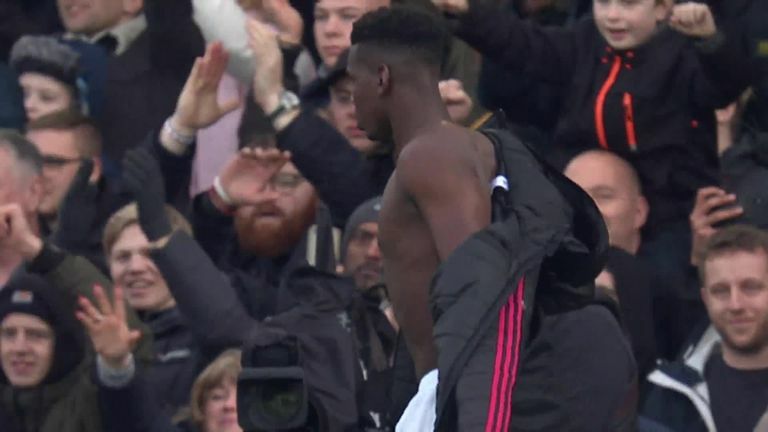 Pogba ran the show at Craven Cottage, while Anthony Martial was devastating on the left flank, and United never once took their foot off the gas. It was wave after wave of attacks, just what the fans wanted after a challenging first half to the season, and the travelling support reacted by singing Ole's name from minute one to 90. Results earlier in the day meant that Burnley slipped into the relegation zone before their trip to Brighton, but they boosted their chances of survival with a vital win at the Amex Stadium. Goalkeeper Tom Heaton played a key role in the first half with a couple of sharp stops, before Chris Wood took advantage of a slip from Lewis Dunk to open the scoring. Tottenham showed they're still fighting for the title by overcoming a Leicester side who had more shots on target (9) than the hosts (5). Hugo Lloris made a string of crucial saves, denying Demarai Gray, Harry Maguire and Harvey Barnes, while his penalty stop against Jamie Vardy - when Tottenham were 1-0 up - proved to be a pivotal turning point in the match. West Ham produced a solid first-half display against Palace and looked good value for their lead after a string of dangerous counter-attacks with Felipe Anderson causing the Palace defence plenty of problems. Claude Puel made a big call in dropping Jamie Vardy amid reported tension between player and manager in the aftermath of Leicester's defeat to Manchester United last weekend, but the team he selected gave a very good account of themselves at Wembley. 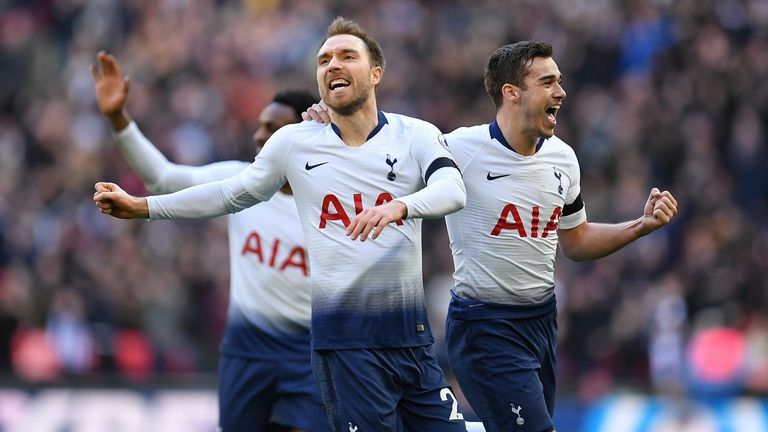 Tottenham were very fortunate in this latest demonstration of being able to grind out wins, and while Vardy would come on to show the clinical edge that his team-mates lacked in his absence, his replacement Demarai Gray, along with Harvey Barnes and James Maddison, carved out their own opportunities. Palace started slowly against West Ham but improved considerably in the second half as Wilfried Zaha's attacking influence grew in the game and the introduction of Michy Batshuayi off the bench appeared to energise his team-mates. 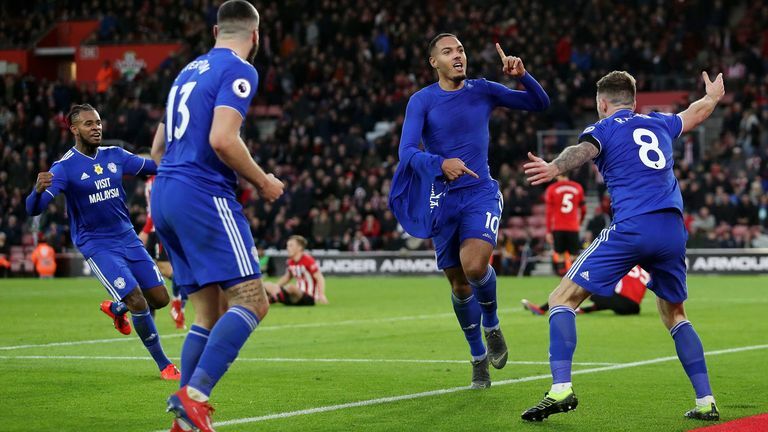 It was another performance full of character from Cardiff and to score a winner two minutes after conceding an equaliser epitomised the grit and determination Neil Warnock has instilled in his side. While the manager did not go as far as to say the tide has turned for Cardiff, they have certainly hit a good period of form at the right time. Huddersfield showed class and quality to produce their best performance of the season, but probably picked the wrong time to do it and just fell short against Arsenal. 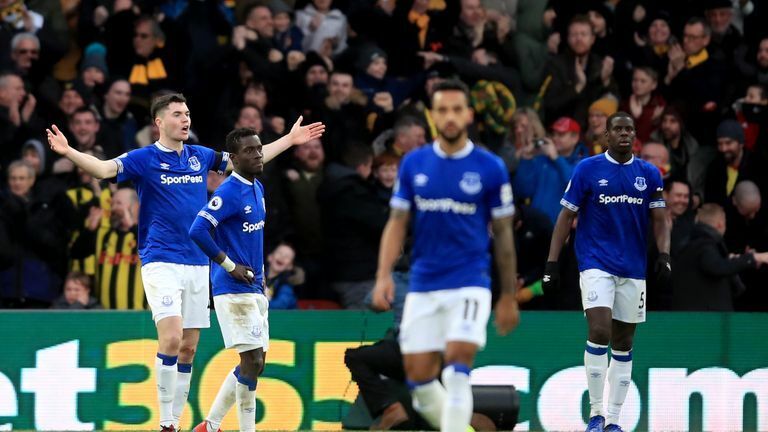 Watford's hopes of earning European football gathered momentum after a deserved victory over a desperately poor Everton, a result which will have brought as much satisfaction as any other this season for the home supporters. That Marco Silva had his head turned by the Toffees last campaign is now proving a blessing in disguise with his successor Javi Gracia guiding his side to within a point of seventh-placed Wolves. Key to this success was his decision to introduce Andre Gray at half-time, a move which breathed life into this contest, as the striker latched onto Will Hughes' cross to score his fourth goal of the season. 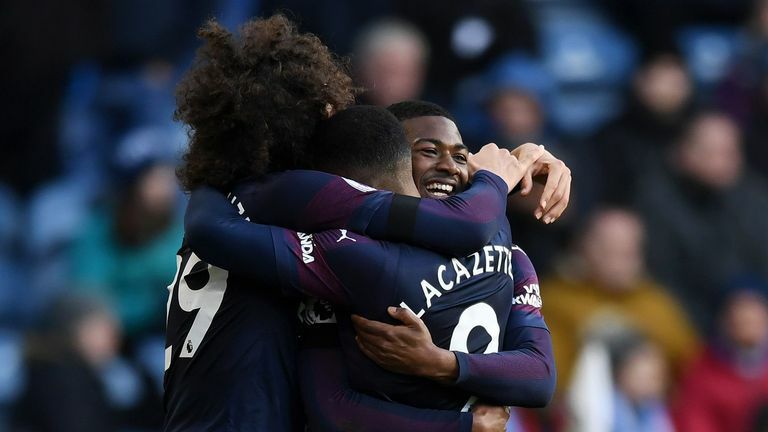 Arsenal stumbled to victory against Huddersfield. This had the same hallmarks as some of the unconvincing performances during their unbeaten run, but for this weekend they will be happy to shake off their losing run on the road. It was another disappointing late showing for Southampton, who thought they had secured a point, but had it snatched away again two minutes later. Despite seeing the better of the attacking play, they offered very little going forward and look like they will struggle without Danny Ings over the next three weeks. This was more of the same from Fulham. Relatively threatening in attack, but extremely poor in defence. Denis Odoi and Maxime Le Marchand had horrible afternoons attempting to deal with Paul Pogba and Anthony Martial, and the feeling around the club seems to have hit a new low. Claudio Ranieri was roundly jeered for taking off Andre Schurrle and bringing on Cyrus Christie, and there were huge cheers for the late introductions of Tom Cairney and Ryan Sessegnon, with some bemusement as to why neither are starting regularly. This was an eighth straight Premier League defeat on the road for Eddie Howe's men. Only Fulham have lost more away games (11). 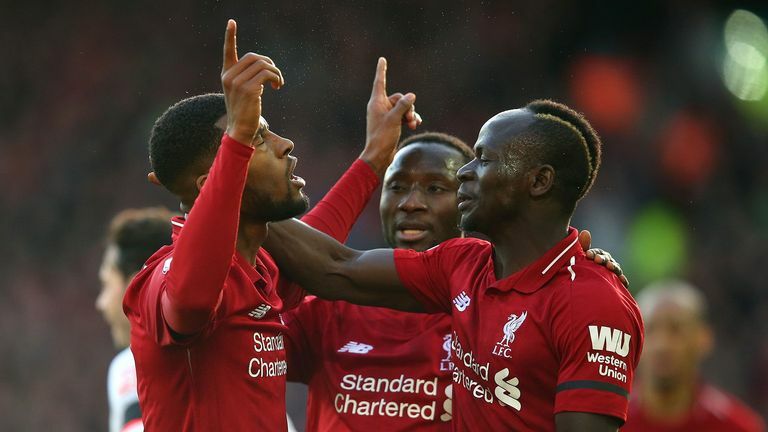 It was an encouraging start at Anfield as Ryan Fraser tested Alisson with an early strike but they didn't build on that opening as Liverpool outclassed and outran them in every department. Brighton's poor run of form continued with a home defeat to Burnley. Chris Hughton's side had their chances, particularly in the first half, but failed to convert until they were 3-0 down. They did have reason to be aggrieved after being denied a clear penalty and then seeing Burnley counter and score from a penalty of their own. However, the regular groans of frustration around the stadium as Brighton slowly played out from the back and struggled to find a spark told their own story. Everton have been in free-fall ever since their 96th-minute defeat to Liverpool, all the way back at the start of December. 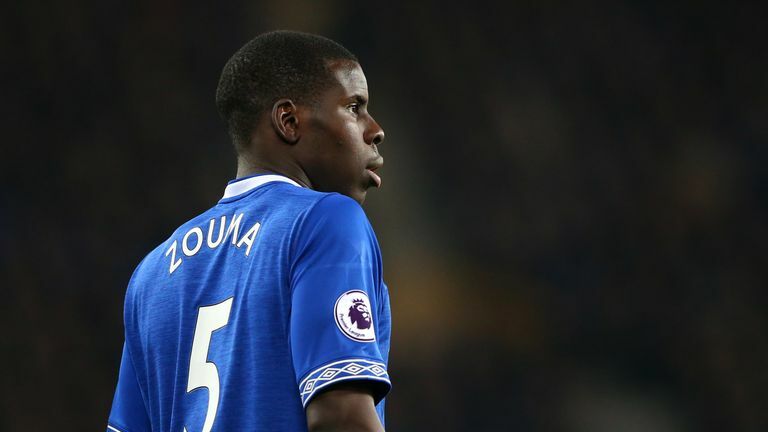 It's hard to see what direction this club is heading in, with the starting XI against Watford a mixture of signings from the past three managers, and this will have hurt Marco Silva on his return to his former club. In defeat to the Hornets, they produced another disjointed display and patience is running out among supporters. The turnover of managers is probably all that is keeping Silva in his job, with Ben Foster not forced into a save of note despite the woodwork being struck twice. Where do we start? Sarri-Ball? More like Sorry-Ball. This was Chelsea's heaviest defeat in any competition since losing 7-0 to Nottingham Forest in April 1991. They've now lost four consecutive away games without scoring, their worst run on the road since 1981. Yes, Manchester City are Manchester City but the lack of fight, cohesion and motivation in this team is starting to become a huge worry.